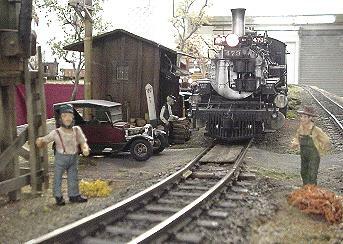 In case you need a reminder, Slim is a 1:20 figure on �Engineer� Jeff Saxton�s Winona & Thorny Mountain RR in St. Louis, Missouri, and Stumpy is a short 1:20 figure on George Thomas� Lazy Acre Lumber Company RR in Delran, New Jersey. 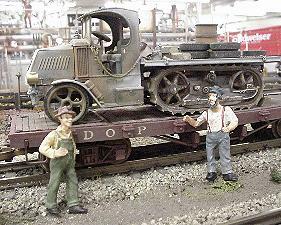 When Slim and Stumpy �connect� they like to visit a great model railroad. In addition to visiting each others railroads they had already enjoyed several others, but one can never visit too many railroads. This goes without saying in our hobby. �Wow, that Arlo sure does that song proud,� said Stumpy. �Yes he does, but I still like Willie Nelson better,� replied Slim. �I think we�ll always argue about this,� said Stumpy. �OK, let�s go,� said Stumpy. His immediate answer showed that he was a man of action. So Slim and Stumpy headed for southern California. In what seemed like only a matter of minutes, they found themselves standing along the Del Oro Pacific RR�s right-of-way. You see, just like their 1:1 counterparts, 1:20 men don�t need to ask for directions. They know exactly where they�re going. A man�s sense of direction, no matter what the size, is innate. As they started to walk down the tracks, they saw a K-27 heading their way. They hitched a ride, and hopped off when they came to a nearby yard. 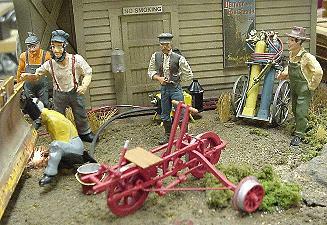 Slim and Stumpy knew yards usually had many interesting items in them. They were not disappointed with this one. �I bet this Mack truck can go anywhere it wants,� said Slim, but Stumpy wasn�t there to hear. He had wandered off. Slim finally found him watching a welder working on a broken plow. Stumpy was fascinated with this new activity until he overheard a conversation about a nearby beer truck. That did it. 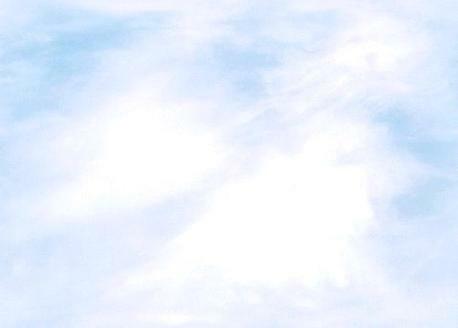 His mind began to wander, and it was quickly followed by his body. He headed down the street. Slim saw him wander away and, like the good friend he was, followed him. Why? Probably because he wanted to help Stumpy keep out of trouble. There was a lot yet to see at the Del Oro Pacific RR, and Stumpy had a way of shortening visits. �Well, howdy yourself,� the truck driver replied. �The name�s Packer, but you can call me Dennis. Where are you from?� Apparently they did not talk like Californians. Slim and Stumpy told Dennis about New Jersey, Missouri, and all the other places they had visited. 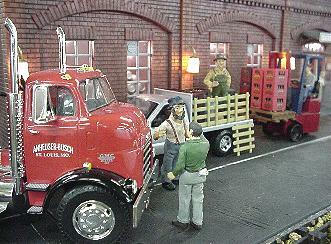 Dennis determined that some of the inventory was defective and removed it from the truck. But it didn't seem right to just throw it away--you get the picture. All of a sudden Dennis exclaimed, �Holy cow, it�s lunch time. Gotta go!� Good-byes were quickly exchanged as Dennis hurried off. Some things in life are sacred, and most people would agree that lunch is definitely one of them. �Let�s do some more exploring,� said Slim. �Do you think we should?� Slim sensed trouble, but it was too late. Stumpy was already inside. CRASH! Before Slim to question the intelligence of this suggestion, Stumpy was running down the street in a somewhat zigzag manner. In only a few minutes he returned with some of the welding equipment. He was trying to hook it up when the owner, Mr. Alvin Crabbe, wandered in. He was known as this village�s idiot ~ his speciality was dropping his pants at parties to show off a hidden tattoo. 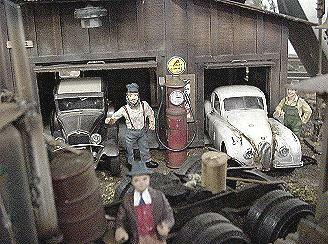 Mr. Crabbe looked at Stumpy, the welding torch, and the nearby gas pump. �HELP! POLICE!� he hollered, as he ran from the garage, expecting an explosion at any second. The townspeople loved telling this story about their idiot for years to come. Having been in this situation before, Slim and Stumpy knew what to do. You know, been there, done that. They ran as fast as they could to the freight yard. Slim spotted a caboose and climbed on. �What are you doing?� asked Stumpy. �It�s not moving.� But it was, ever so slowly. At first Stumpy just watched, totally dumbfounded. �Come on!� yelled Slim. That was exactly what Stumpy needed. 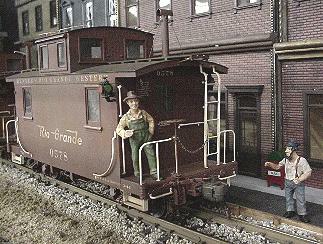 He shook his head, ran, and boarded the caboose. Their short visit to California was over, and Slim and Stumpy knew that it was time for them to part ways again. As we all know, it�s not easy for good friends to say good-bye. And so they joined the evening mist of California, and headed eastward toward Missouri and New Jersey. But rest assured, web site readers, Slim and Stumpy will meet again to make another layout visit. So weld your whatevers, it could be yours!